What if I've never done this before? 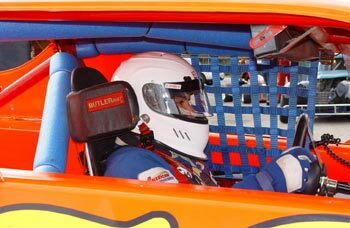 No experience driving a race car is required, however, you must have a valid drivers license and be at least 18 years of age. Do I need to purchase any special equipment? We provide regulation helmets and driving suits and suggest that you wear something that will be comfortable under your driving suit such as shorts or sweats and a T-shirt or sweatshirt depending upon the season. We suggest you wear tennis shoes if you do not own driving shoes. You are welcome to bring your own personal safety equipment if you have it but if you bring your own helmet, it must comply with current NJ State Regulations. Do I need to know how to manually shift in order to drive the GFDE cars? Yes and No. 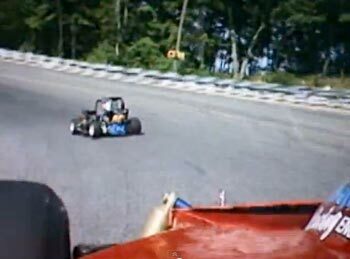 The INEX Legends race cars require manual shifting but with a little instruction, most drivers are able to shift well enough to thoroughly enjoy their experience. 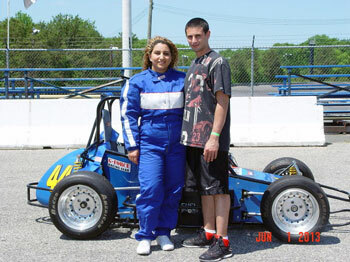 The TQMRL Three-Quarter Midget race cars utilize a centrifugal clutch that operates like an automatic transmission. 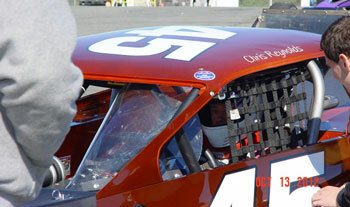 Our Modified race cars do require manual (stick shift) ability and experience. A 10% cancellation fee applies to any and all cancellations. You may reschedule your experience within one year from the date of the originally scheduled program without penalty. Gift certificates are non-refundable but are transferable and are valid until redeemed. Green Flag Driving Experience will make a decision regarding driving by 7:00 PM on the day before your scheduled experience. Call 973-808-1129 after 7:00 PM on the day before your scheduled event if inclement weather is predicted. Drives are typically rescheduled on the following weekend, schedule permitting. If there is no cancellation message on our phone system, we will be at the designated location ready for your participation. In the unlikely event that you are present at your scheduled time and inclement weather causes us to cancel on the day of your scheduled experience your drive may be rescheduled within one year of the date of your originally scheduled drive without penalty. What if I am not present at my scheduled time? No Refund will be issued if you are not present at your scheduled time and you will be considered a "No Show". "NO SHOWS" will forfeit their money and driving experience and may not reschedule. NO EXCEPTIONS! I have a medical condition, can I still drive a race car? Prior to participating you must certify that you do not have any known or suspected health issues which may endanger your life or the lives of others while participating in the Green Flag Driving Experience. These conditions include, but are not limited to: heart conditions, high blood pressure, diabetes, seizures, vertigo, and color blindness. You must further certify that your participation in the Green Flag Driving Experience will not put you at risk of known side effects caused by prescription drugs you are currently taking. If any of the above apply, you must provide certification from your physician clearing you to participate. What if I damage the car? Please operate your vehicle within your ability and according to the instructions given to you by our experienced race instructors. In the event you damage your race vehicle, there will be a charge for damages to your race car. You must stay in control of vehicle at all times. 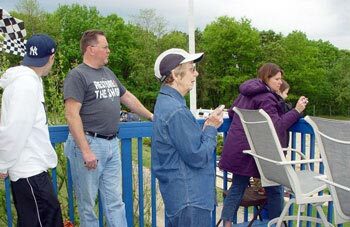 We also suggest that you bring soft drinks or water, sunglasses, sunscreen lotion, comfortable clothing, a camera or video camera, and plenty of friends and family to watch! 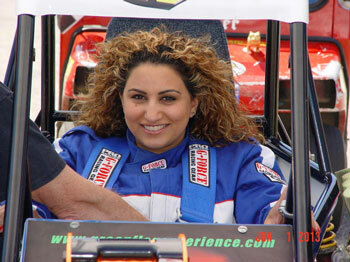 Green Flag Driving Experience deals in adrenaline. At its racetrack, novice drivers and advanced rubber burners alike get to feel the heady rush of epinephrine as they reach speeds in excess of 90 mph while manning the cockpit of a racecar. Drivers choose their rides from a fleet of Winged TQ Midgets or a selection of Legends cars, 5/8-scale replicas of autos from the Golden Age of American engineering when men were men and cars were powered by miniature locomotives. Before sliding behind their chosen wheel, each driver goes through an introduction and orientation that cover safety skills and handling basics. 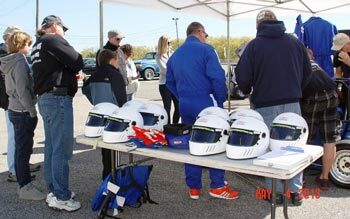 Then the Green Flag Driving Experience instructors keep watch as their pupils don provided helmets and suits, buckle up, and hit the pavement. Afterward, the instructors provide a thorough critique that helps the budding Andrettis maneuver with even more finesse on their next time around the track. Do you wonder what it would be like to drive an open wheel Modified like the Featherlite Tour or Wall Modified? Our Green Flag Driving experience cars are actual Wall Township Speedway Modified Division vehicles that currently run or have run on the famous high-banked 1/3 mile Speedway by the Shore. Now, if you want the earth-thundering feel of raw power at your command!